Oh my, oh my, aren’t the rumors just abounding? Every time you log into the internet or Twitter or even just type in “Star Wars” into Google, you get more “news” then you can handle. There are, of course, complaints out there from die hards saying that until they hear it from Disney/Lucasfilm/starwars.com, they’re not going to believe it, etc, etc. Well, guess what? I think they’re so much fun! It sparks my imagination and I start thinking faster than lightspeed about how each little bit of news could tie together with the other news I heard. All 3 Heroes are returning to the Star Wars franchise (Luke, Leia, and Han). John Williams will return to compose the score. Episode VII will focus on the offspring of our heroes. 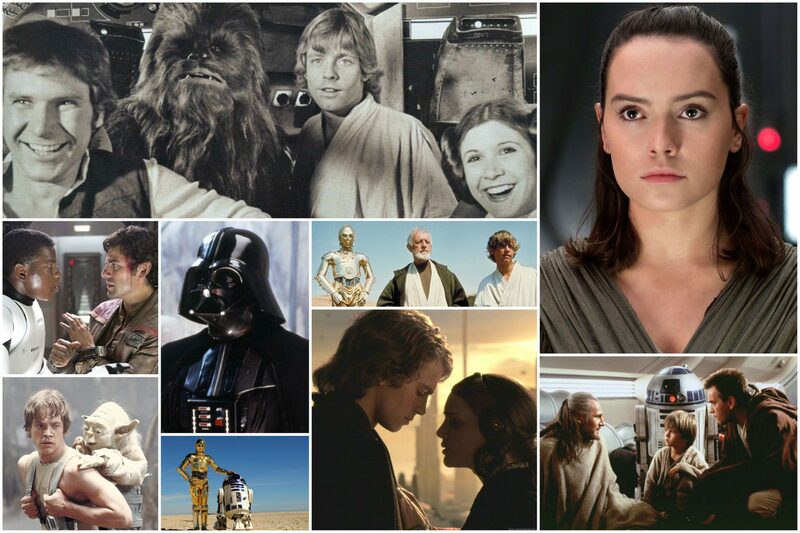 Various actors both in Star Wars and that have never been in Star Wars would now like to be in Episode VII. Ok, not really a rumor, but still something that keeps popping up. I think this superbly hilarious and great. People can’t stop talking about it, myself included (even though my talking about it means I’m just writing on my blog and talking to myself). As the movie gets closer and closer to a release date, we’re going to hear more and probably have a basic understanding of the plot for VII. It really depends on how well Disney can keep a lid on spoilers that determines how much speculation will continue. I just can’t imagine this being like the “old days” where you could call a movie Blue Harvest and try to get away with not leaking anything to the public. The internet makes it all too easy for a crew member on the set to release a little bit of “anonymous” information and wham bam…we now know everything. Keep in mind, I was young when TPM came out in theaters and I remember the internet was not the go-to place for information on future movies yet. Through AOTC and ROTS, I kept up with rumors on the internet but I still don’t think the Internet really had a cohesive place to find news as I now do with Twitter. This is more of a new and exciting experience for me: sifting through these nuggets and trying to make sense of it all. I’m enjoying myself immensely as I ride the wave of waiting to hear what the next confirmed news will be. As I was driving into work this morning and thinking about the rumors, I started thinking about the EU. Naturally, this question has already popped up many times, but how do these new movies work with the EU? Most fans are in accord in thinking the new trilogy will probably have to do with the offspring of the heroes. If Luke also has offspring, that means he’s with a woman, and they will probably have him married to someone not named Mara Jade. What happens to the thousands of EU novels? I think common opinion is that now they will be shunted aside and that when they say VII will be an “original” story…they actually mean: forget about the EU because it will not take any place within these movies. But my larger question actually doesn’t relate to that. I’m more interested in jumping 40 years, or even 20 years ahead, and see how the current EU is holding up. Up until October, I think one of the reasons the genre did so well is because people were hungry for more Star Wars in a world where we didn’t expect anything more from Lucas/movies. Will the current EU be forgotten? With new fans and a new generation being brought into Star Wars with these new movies, will the majority of new fans laugh at the EU as we know it and feel like they are antiquated? Will there be a division between those that remember Mara Jade and those that think it’s ridiculous that we’re hanging onto that hokey religion? Australian media are reporting that Carrie Fisher and Harrison Ford are confirmed to be in the new movies. No news on Mark Hamill yet. Yup!! That’s what we’re hearing too. Exciting! And glad you’re back to commenting 🙂 I thought you had phased out.